We are prepared to help you reclaim your basement from moisture and mold concerns. 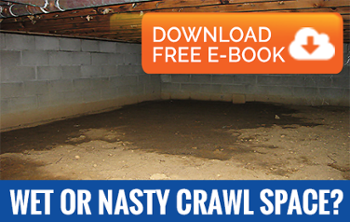 Unfortunately, your basement can become a place where moisture concerns take over. At AdvantaClean of Lorton, Manassas, Fredericksburg, we are prepared to help you reclaim your basement from moisture and mold, so you can enjoy your home or business without worry. We provide a number of services to meet your needs so you can feel confident your basement is in good shape. Moisture Control – Protecting your basement against moisture problems is one of the best ways to prevent indoor air quality concerns. You can let us know if you have a moisture control issue with your basement, and our team will be there ready to assist you. Mold Remediation – When moisture is left in your basement unattended, the area can become a breeding ground for mold and mildew. Our team is experienced in assisting customers with mold remediation, and we’ll help you rid your home or business of this potential threat. Water Removal – If you experience a flooding event, your basement is often the first victim. We are prepared with the equipment and experience to assist you if you need water removal services at your home or business. We are your first resource in this type of event. Contact us at AdvantaClean of Lorton, Manassas, Fredericksburg today for more information about our services at your home or business. We’ll help you protect your basement and keep it clean for future use. Call today to get started!